Turnover. It's one of the primary concerns we hear about from our clients. Hiring and retaining top talent reduces costs for organizations, improving their overall competitiveness and profitability. However, understanding what is driving turnover can be a difficult nut to crack, because there are so many factors that can contribute to an individual’s turnover decision. In examining this issue, it is important to approach it from two angles – the INDIVIDUAL and the ORGANIZATION. The individual perspective takes a look inside the person for characteristics or traits that can predict turnover. At Select International, research we've conducted in this area has identified several individual drivers of turnover. For example, several personality (e.g., conscientiousness, emotional stability) and attitudinal (e.g., job satisfaction, organizational commitment) characteristics are consistently related to turnover-related outcomes, as well as several types of biodata measures (e.g., number of prior jobs, tenure in prior job). The organizational perspective investigates the organizational climate, culture, job requirements, procedures, and processes to identify areas that may impact employee turnover intentions (e.g., schedule flexibility, compensation, leadership). So, the workplace is an already dynamic mix of varying interests between the employer and employee. Added to this mix, in recent years, is the advent of internet-based communication. Over the past decade, in particular, social networking has emerged as an important forum for communication. Organizations implemented social media platforms, like Yammer, internally to give employees a place to exchange ideas, share information, and connect with and relate to others. These platforms can help keep employees engaged, active, and informed. Recent research suggests that employees engaged in intra-office networks/communication are less likely to turnover due to the individual’s strong ties to fellow employees and the organization. They are more “embedded” which makes them more engaged and connected. Select International partnered with a large retail organization that uses an intra-organizational networking system. This system is similar to a Facebook or LinkedIn platform in that employees can post content, reply to posts made by others, join groups, follow others, and be followed by others. 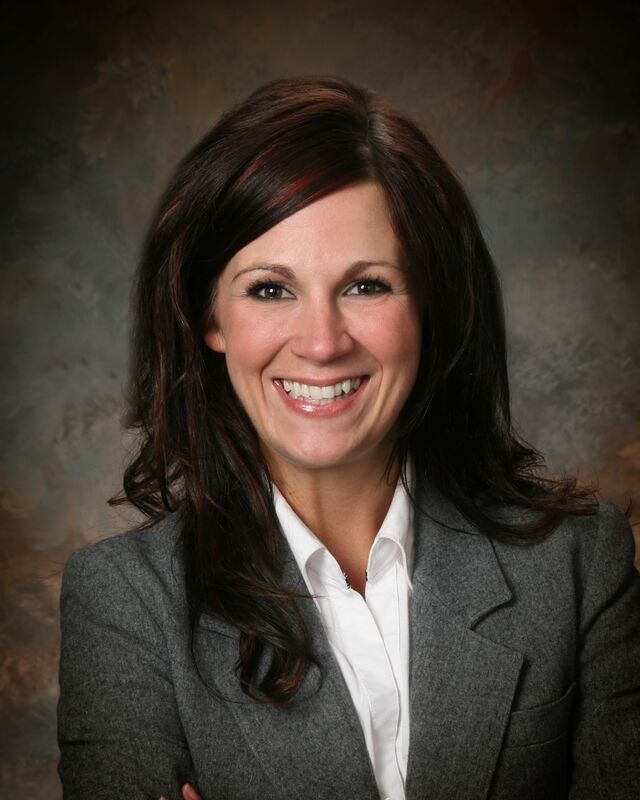 Organizational leadership encouraged employees to participate in the internal networking system as part of an overall organizational culture initiative. We conducted a research study that looked at the internal social networking activity of current employees and compared it to turnover intentions and outcomes. The results were quite interesting! Employees with high social networking usage were rated less likely to leave the organization by their supervisors than the employees with lower social networking usage. 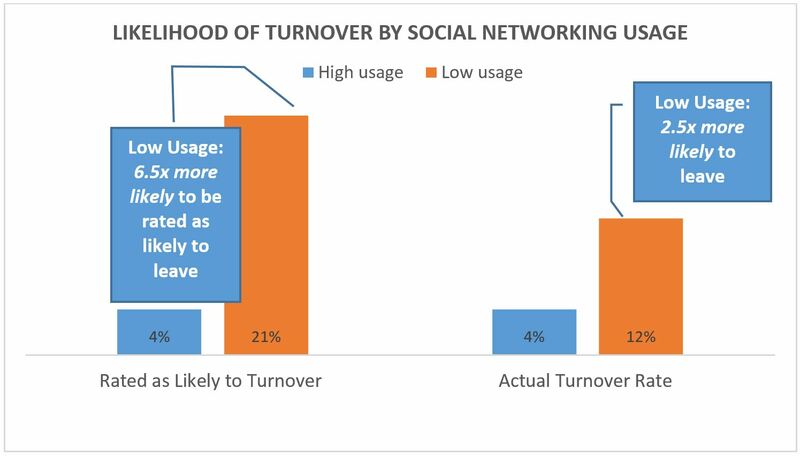 When we looked at actual turnover data, we saw that individuals who frequently used the internal social network platform were also much less likely to leave the organization. In fact, employees with low social networking usage were 2.5 times more likely to turnover! What does this mean for organizations? How can these results be used to affect real outcomes? 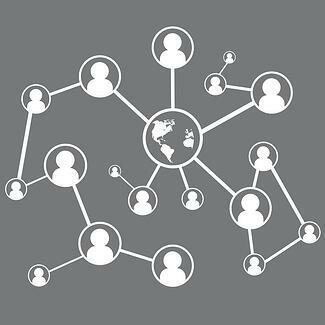 Organizations could identify individuals with low social networking usage and engage with them to see if they are at risk for turnover. If so, the organization can address employees’ dissatisfiers and work to retain good employees. Additionally, it has been shown that individuals who have a strong organizational fit are also more likely to participate in organizational activities/initiatives. Finding individuals who are a good fit can be addressed at the personnel selection phase through the use of pre-employment assessments and other tools. All in all, these results suggest that engaged and connected employees are more likely to stay and social networking is one way to evaluate an employee’s “embeddedness” or connection to the organization. 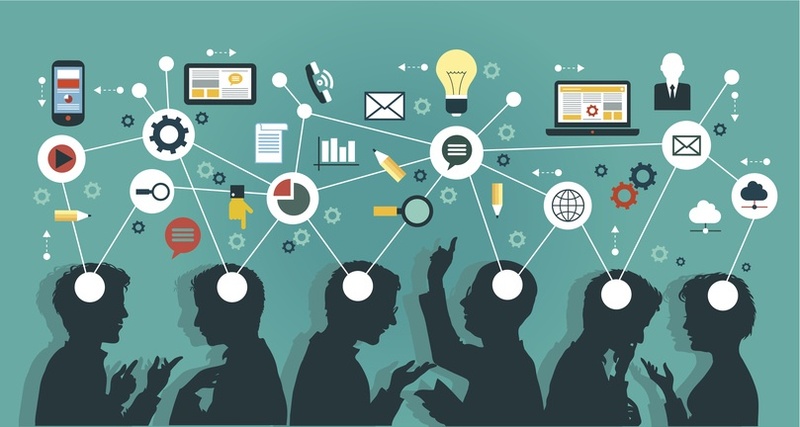 Pay attention to your employees’ intra-organizational social networking behavior. It might just be a clue to their turnover intentions and feelings towards the organization.